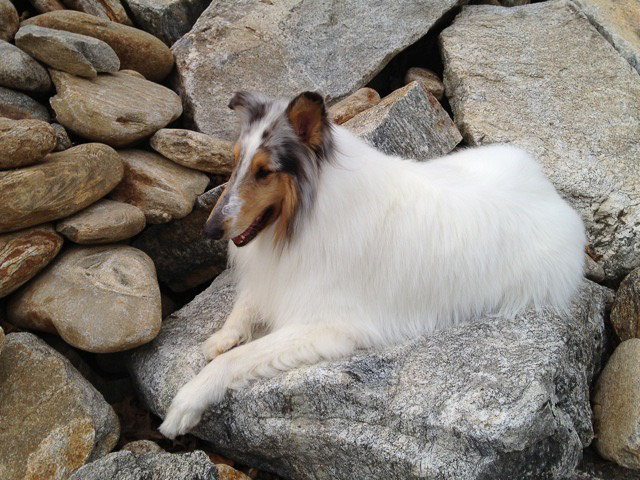 Sky is such a handsome and affectionate dog! It was very difficult to part with him, but we can’t keep them all. So Sky joined a wonderful family in North Carolina. 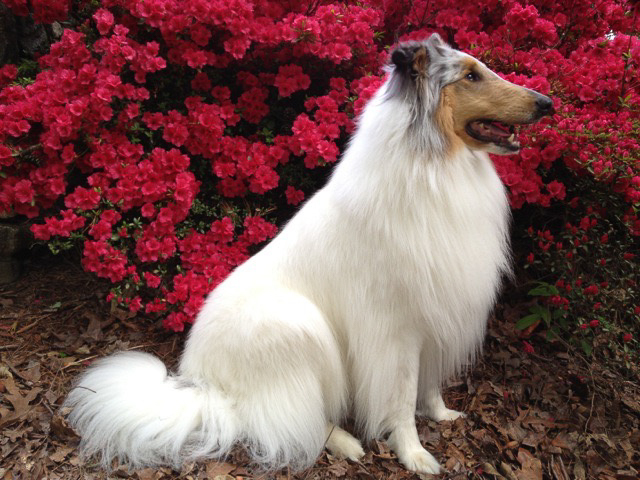 Sky is a lucky Collie–he goes everywhere with his owners and he receives the very best of care. They give him lots of love and attention, too! We might almost say that Sky is a little bit spoiled! Lucky Sky! 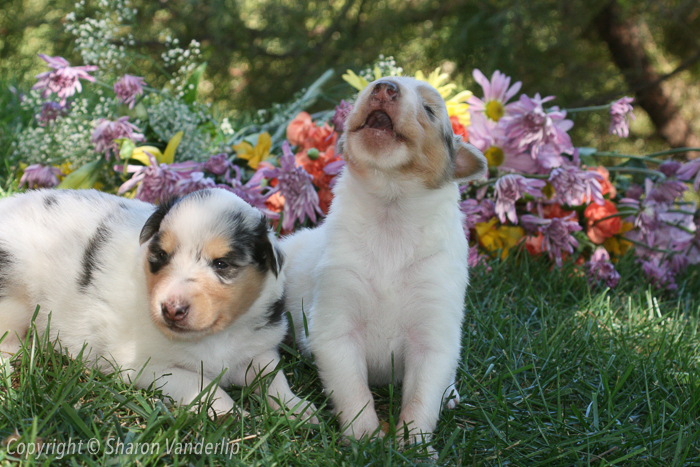 Here’s Sky (on the right) and his sister, Rainshade Embellish in Blue, when they were tiny pups!